Marriages are strengthened in the trenches. Forgiveness, Finances, Face to Face, and Fulfillment are part of the process. Having a strong marriage takes work, takes, commitment, and takes time. 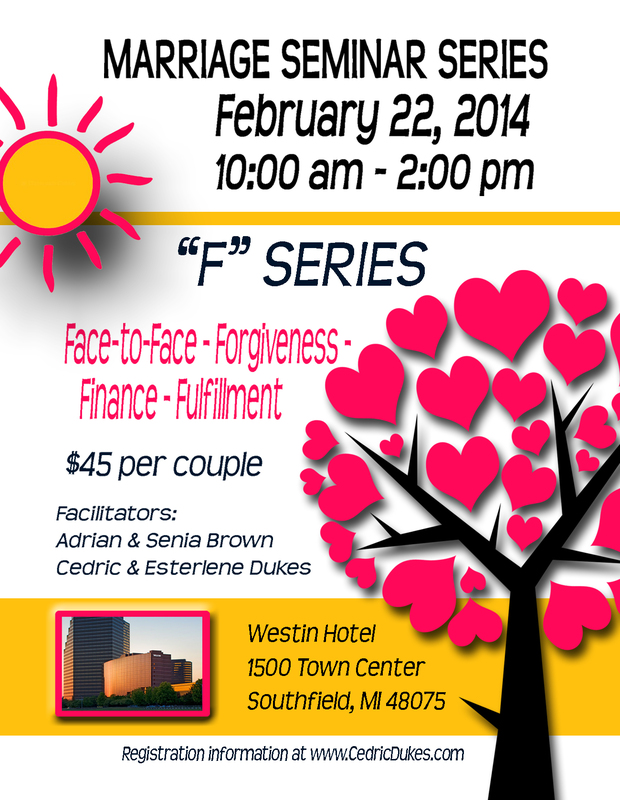 Whether your marriage is strong or needs a tune-up, meet us on February 22, 2014 from 10:00 am to 2:00 pm at the Southfield Westin to become a winner in your marriage.